Last month we announced the good news that Harry’s will be open for regular business hours through September. And, for the month of October, Harry’s will stay open Thursday through Sunday with a last full day of service of October 27. We look forward to welcoming guests through October with great food and fantastic music. But, we know good food can’t always wait until you see us at Harry’s. That’s why we’ve put together this collection of great fall recipes from Coastal Living. Enjoy! Smoked paprika adds depth and weight to this delicious stew while saffron and a little extra flavor and color. Of course, he best lobster is fresh, so that means cooking your own for this recipe. For convenience, you can ask your local fish market to steam one for you. Then, simply shell chop the meat into medium chunks from the claw to tail (you can use all tail meat for this recipe). Beautiful seasonal vegetables are topped with a savory parmesan biscuit for this vegetable pot pie recipe. Consider making extra – everyone in your family is sure to love them! This hearty chili is perfect for your next weeknight dinner. Canned chipotle peppers and dark beer pack this simple dish with tons of flavor. This flavorful, creamy, soup features salmon rather than clams. Bonus tip: you can replace half the cream with mashed potatoes to reduce calories and saturated fat. Bonito flakes set this soup apart. Made from fillets of a tuna-like fish, they’re smoked, aged, and shaved into paper-thin slices for a savory, smoky flavor that you’ll never forget. Try Costal Living’s take on a Southern classic. They’re Lowcountry Boil can be made on the stove in less than an hour, making it another perfect dish for weeknights. Opt for a homecooked cobbler and enjoy the sweetness of berries baked in a warm crust. Just prepare before dinner, bake, and serve warm from the oven for a delicious after-dinner treat. Use a cast-iron skillet to prepare this one-of-a-kind pudding cake in less than 15 minutes. Savory buttermilk batter and sweet plums makes a delicious combination. Pair this rich chocolate cake with coffee and ice cream for the perfect cool weather treat. Try this delish French staple for a special breakfast or brunch. Granny Smith apples and cinnamon add a decedent apple pie flavor to these crepes. Don’t forget we have live music every night through October 28. So, come visit us this weekend at Harry’s! Harry’s Ocean Bar & Grille is a favorite Cape May restaurant and rooftop bar. Philadelphia Magazine recently named Harry’s one of the best places to drink outside on the Jersey shore. 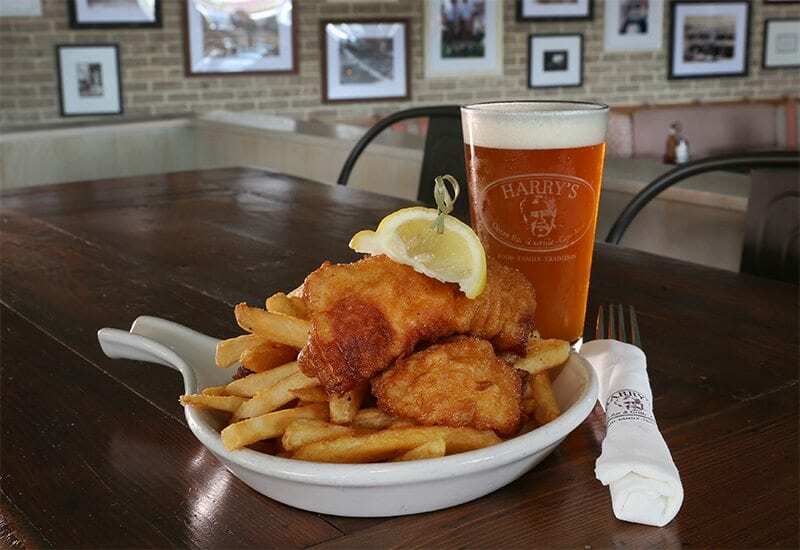 Open Seasonally for breakfast, lunch, happy hour, and dinner, Harry’s is the perfect place to relax and enjoy great food overlooking that Atlantic Ocean.